Want to Grow Your Tax Practice? 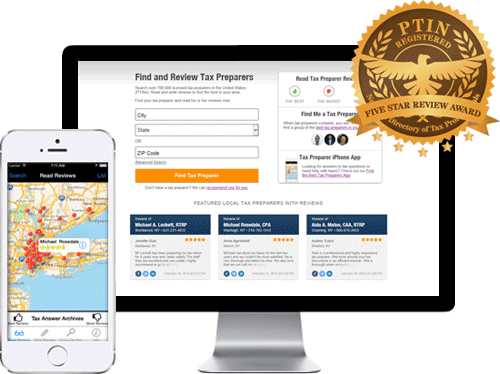 Get featured on the local Google search and our mobile app as the best rated tax preparer in your city or town. If you want to buy or sell a tax practice, the Tax Practice Exchange could save you thousands in fees and commissions. Want more tax clients? Lock up your ZIP code exclusivity for client referrals. Find out if your ZIP code is available. 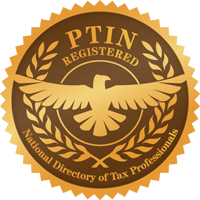 Now you can proudly display your personalized, gold leaf, raised seal PTIN registration certificate. Custom frames are also available for purchase. Personalized PTIN desktop accessories are now available. ChromaLuxe™ hardboard gloss panels with easel – stunning finish, crisp detail. Affordable professional liability errors and omissions insurance with one year complimentary prior acts coverage is available. Don’t put your personal assets at risk with a lapse of coverage – renew your professional liability errors and omissions insurance policy. Protect yourself, your business and your clients from theft, embezzlement and other dishonest acts committed by your employees. Tax preparers are required by the state of California to possess a California Tax Preparer Surety Bond in the amount of $5,000. GEICO® offers PTIN registrants a special exclusive professional discount on auto insurance that is not available to the general public. Coverage includes data breach, hacker and virus attacks, stolen client data, forensic costs, regulatory fines, notification costs, and data restoration. TAXtemp® Staffing – trained remote staff with the skills you need – back office tax preparers, bookkeepers and accountants. Jobs, temporary and permanent career opportunities in tax, public accounting and private industries. Membership is only available to PTIN registrants. There are no annual membership fees or dues. Easy access to working capital for your practice. Find out how much money you’re entitled to. Get access to quality continuing education covering all aspects of taxation and accounting.